Danish startup Flextown has begun offering an NFC business card service worldwide, allowing consumers to share portfolios of work, videos and other digital content as well as contact details via NFC, QR or Apple’s AirDrop service. The Flextown app is available for Android and iOS and allows the user to edit, activate and share various digital profiles, see who has access to their profiles and how long they have viewed them. Great technology! 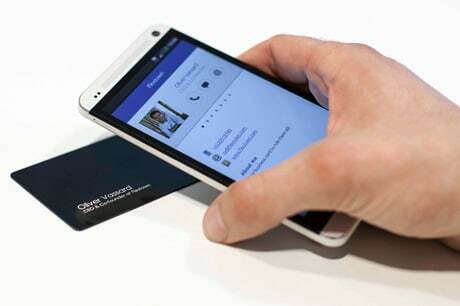 Very similar to what Corporate Graphics International has been doing in the US market with our NFC cards.